Portachiavi con mini nastro multicolore e logo CHACOTT. 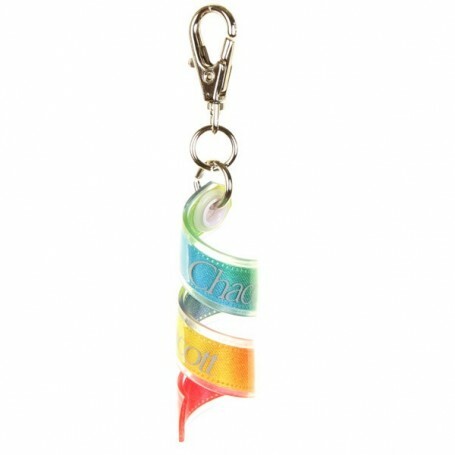 Keychain with mini multicolored ribbon and logo CHACOTT. Color: random nuanced. The ribbon is cut randomly so each keychain can be different in color.